8Understand the key challenges and solutions around building microservices in the enterprise application environment. 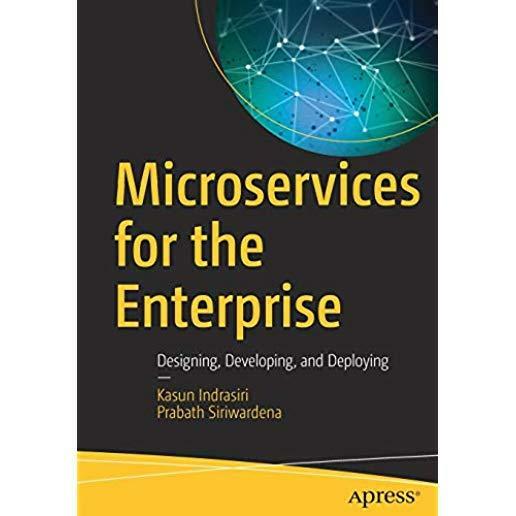 This book provides a comprehensive understanding of microservices architectural principles and how to use microservices in real-world scenarios. Architectural challenges using microservices with service integration and API management are presented and you learn how to eliminate the use of centralized integration products such as the enterprise service bus (ESB) through the use of composite/integration microservices. Concepts in the book are supported with use cases, and emphasis is put on the reality that most of you are implementing in a "brownfield" environment in which you must implement microservices alongside legacy applications with minimal disruption to your business.